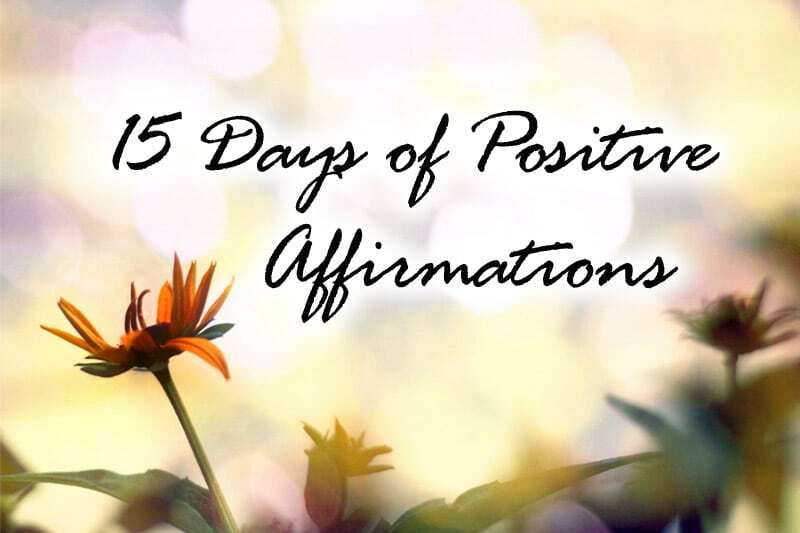 This is Day 11 of the 15-Day Affirmation Challenge where hundreds of participants around the world gather to practice positive affirmations for 15 days in July 2014. The challenge is now over, but you can do the tasks in your own time. Visit the overview page for all Affirmation Challenge tasks and posts. Work and money. These two areas of our life wheel are often intertwined. After all, for most of us, we work to earn money, and for more of us, we can’t earn money unless we work. I can understand this mentality, because it wasn’t too long ago when I was working in a day job, spending long hours daily doing work I didn’t love, and doing monthly salary budgeting just so I could save up enough money to “safely” to quit my job one day. Shortly after, I left my day job, and worked on turning my passion into a career. From first building awareness of my work, to building credibility about what I do, to getting my name out there, soon I was successfully earning a living from doing what I love. And then subsequently, I decided that exchanging my time for money isn’t something I want to do forever, so I began to turn my business into a passive-income business. I identified ways in which I could deliver value to others passively, and then created those as passive-income streams. I identified the activities that were taking up my time, and worked on detaching myself from those activities, such as delegating and outsourcing, so that I wouldn’t be a cog in my business. It took about four years after I quit my day job before I was able to declare myself as retired (at 28). Since then, I’ve pledged myself to a life doing only the things I want and I love, independent of monetary considerations. Sounds like a dream come true of course, but lest anyone tries to attribute this as the result of luck meeting opportunity and the like, I want to emphasize that it’s something that I worked hard every day over the period of four years to create for myself, out of nothing, where “no” visible opportunities existed, so that it could come true. And the thing is that it can happen for you too… if you want it to. The process of successfully turning one’s passion into a career is by no means easy and requires many steps, one of which requires breaking many deeply embedded beliefs surrounding work, life, and money. It’s nothing short of me creating a six to eight module course just to adequately convey the lessons (and I do intend to create a Passion & Money course in the future). Hence, my plan today isn’t to convince you that you can turn your passion into a (successful) career, as it’s way outside of the scope of this challenge. Rather, for today, I would like to get you thinking this question, What if it is possible for me to do what I love and earn money from it? and for those of you who are already doing so (congratulations!!! 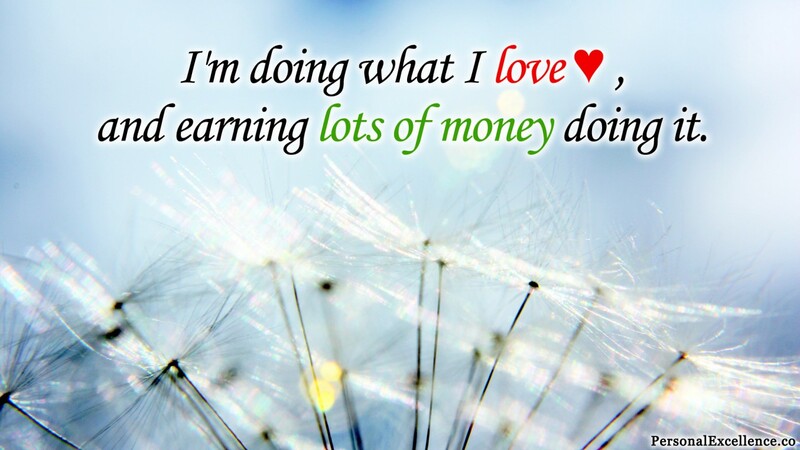 ), the question to reflect on is, How can I earn lots of money doing so? Identify three things blocking you from pursuing your ideal career now. Every goal has obstacles, like we have learned in Day 4 on setbacks. As I mentioned in that day’s post, “the bigger your goals and dreams, the bigger your obstacles.” If your ideal career is a grandiose one, it likely has huge obstacles. Identify solutions for these obstacles. How can you break the obstacles you listed in Step #2? Identify clear action steps. Take action! Take action on the steps you have identified in Step #3! Include deadlines where applicable, and get working on them — starting today if possible!